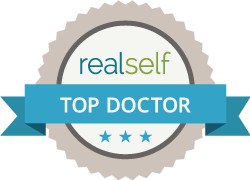 Most dermatologic surgeons will warn you that complete tattoo removal is not possible. Tattoos are meant to be permanent, so removing them is difficult. A few surgeons guarantee complete removal. With that said, there are several methods of tattoo removal which have been proven effective. The degree of remaining color variations or blemishes in your skin depends upon several factors: size, location, your ability to heal, how the tattoo was applied and how long it has been in place. *For your consideration, a tattoo applied by a more experienced artist may be easier to remove since the pigment was evenly injected in the same level of the skin. New tattoos may also be more difficult to remove than old ones. Doctors say they can’t predict the exact degree of removal because they generally don’t know which of the 100 tattoo inks available today were used. (The U.S. Food and Drug Administration currently lists tattoo pigments as “color additives,” which are intended only for application to the top layer of the skin.) Consult with Dr. Khan today and call our offices to make an appointment!